Sanctuary Inn is a place where God’s global workers can come aside for healing and refreshment. 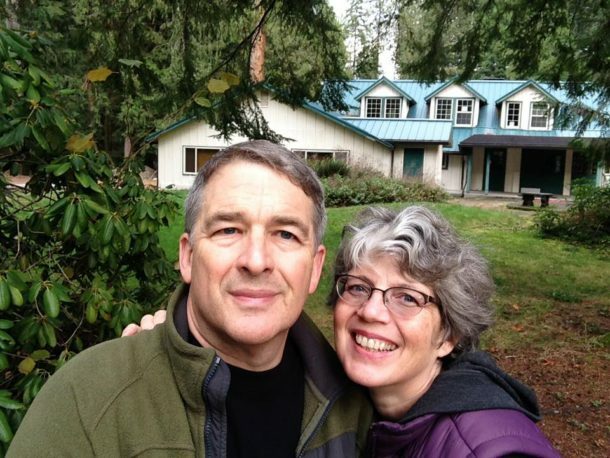 Many of the ideas about Sanctuary Inn came out of the ministry that Steven and Joann had at the WorldView Center (2005-2016). With the sale of the building that housed WorldView, God put the opportunity in front of us to dream a new dream. As many gathered and prayed the burden for missionary care became the central focus of what is now Sanctuary Inn. We traded the city for the country and we are located in the Mt. Hood community of Welches, Oregon. The property we purchased was originally developed by grocery store entrepreneur, Fred Meyer, and was later owned by Youth For Christ. We have embraced the health and growth that comes from living in Christian community. At Sanctuary Inn our prayer is that weary global workers can find rest, recovery and restoration so they can continue in their service in God’s kingdom around the world.